Our specialists are unparalleled in understanding the culture, goals and needs of their clients. We focus on leveraging clients’ successes as the stimulus to meet new, embedded and complex challenges and take great pride in the trust and enduring relationships that evolve with the organizations served. Read more about our specialists below. Mr. Ahlerich is the former Assistant Director, Federal Bureau of Investigation and the former Chief of League Security, National Football League. He possesses specialized experience in security assessments, investigations and event security. Ms. Barry provides skilled and specialized knowledge in tandem with extensive experience in event security and physical protection security measures for private sector organizations, law enforcement agencies and Universities. Dr. Blatstein provides extensive training on course topics that include strategic planning, change management and leadership for both private and public organizations. Mr. Calucchia brings 25 years of extensive federal law enforcement experience in physical protection and advance surveys for dignitaries to Powhatan Group clients. Mr. Cameron brings expertise in building continuity and business recovery plans and loss prevention measures for both the public and private sectors to his role with Powhatan Group. Mr. Cavicchia is the President of Strategic Services International, LLC. He provides expert advice in organizational strategic planning, human resource utilization and review of organizational effectiveness and development. Mr. Chodosh brings 36 years of extensive experience in counterfeit investigation, protective services, credit card fraud investigations and global corporate security to Powhatan Group. Mr. Cox specializes in financial security, investigative procedures, executive protection, organizational preparedness and survival issues. Mr. Fallon brings to Powhatan Group more than 30 years of federal law enforcement experience, specifically as the former Assistant Director, Federal Law Enforcement Training Center and the former Director, Naval Criminal Investigative Service Training Academy. He is internationally recognized in counterterrorism and training transformation. Mr. Gambatesa brings extensive experience in audits, contract oversight, crisis operations management, along with his knowledge in leading large, complex organizations. Mr. Katana is a celebrated and highly decorated U.S. Navy SEAL Captain and lawyer who previously founded a consulting practice that delivered innovative leadership and organizational development solutions for companies worldwide. Mr. Katana currently serves as Principal Trainer/Advisor for the U.S. Department of Defense, Defense Security Service, Center for Development of Security Excellence. Mr. Mitchell is the Director of Public Safety and Chief of Police, University of Maryland at College Park, and is nationally recognized in crisis management, communication and law. Mitchell also serves as an advisor to the Center for Preparedness and Catastrophic Event Response, established by the Department of Homeland Security, and as an Adjunct Professor, School of Education, Division of Public Safety Leadership at Johns Hopkins University. Mr. Patton provides a wealth of experience in executive management, protective services, investigations and travel operations for Powhatan Group clients. Mr. Sullivan specializes in major event security planning, change management and travel security for both private and public organizations. Prior to joining Powhatan Group, he served as the former Director of Law Enforcement at the Transportation Security Administration (TSA). 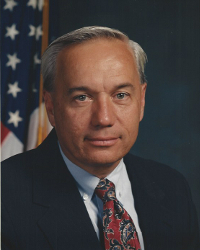 In this role, Sullivan was responsible for the law enforcement efforts at more than 400 airports, and maintained operational oversight of various programs, including training and supervising airline pilots as well as establishing countermeasures to deter hostile launch against civil aviation.